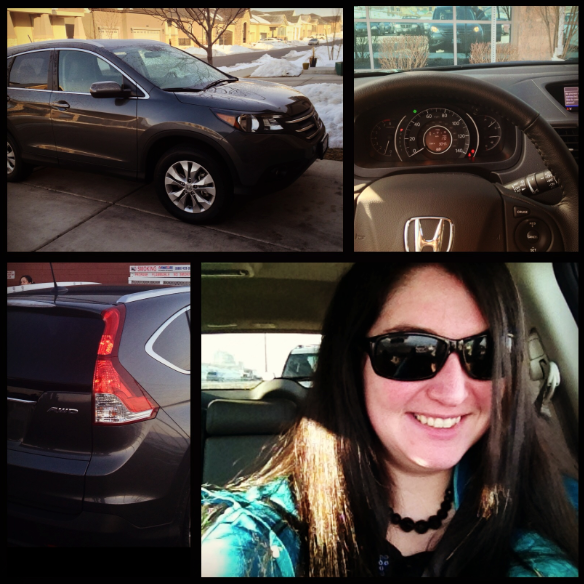 I’m a car junkie, and I especially love Honda vehicles.This week I’m driving a brand new 2013 Honda CRV…how cool is that? 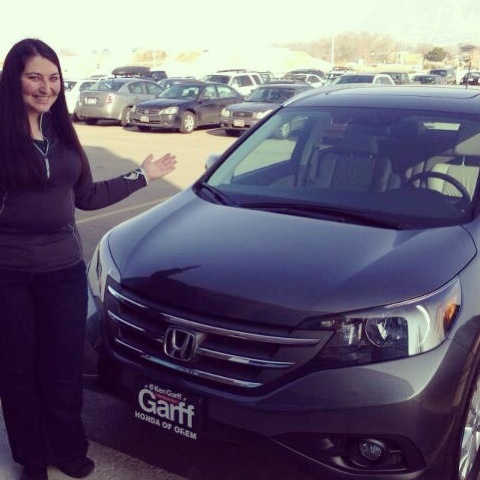 Honda of Orem selected me as one of the local bloggers to participate in the #HondaTestDrive. I’m reviewing and sharing my experiences driving a top-of-the-line 2013 AWD Honda CRV EX L. It’s the posh model with the upgraded stereo and rear entertainment system. 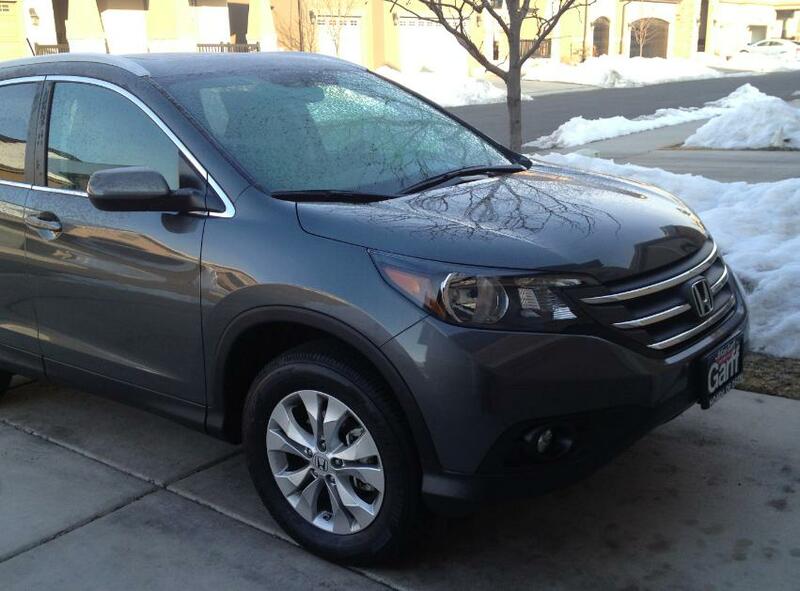 Here are my first impressions of the CRV. The car was delivered to me at work on Monday, and I got the full run-down on all of the CRV’s features. I was given the EX-L RES model, which has just about everything you could ask for: heated leather seats, Bluetooth, moonroof, all-wheel drive, Econ Drive, and the rear entertainment system. It’s a 4-cylinder model, but with 185 HP, it’s got a lot of pep. The guys from Ken Garff Honda of Orem helped me set up my iPhone with the Bluetooth system, which enabled me to make and receive phone calls, stream music, and get turn-by-turn navigation. I was given the keys and a full tank of gas, signed some papers, and was told to enjoy myself for a week. Part of the agreement for the #HondaTestDrive was to share my experiences over social media. I have been posting pictures to Instagram, Twitter, Flickr, Tumblr, and Facebook. I have mostly had positive things to say about the experience. I realized that I hadn’t done any sharing on YouTube yet, so I recorded this video while I was on my way home from work yesterday. Forgive me for the poor lighting (very bright drive home) and for taking the video vertically…I didn’t have a great place on the dashboard to secure the phone. One thing I’m not thrilled about with the CRV is how long it takes for the windshield to defrost. When I left for gym at 5:30 am, it was about 16 degrees. There wasn’t enough frost on the windows to use an ice scraper, so I thought I’d wait for the windows to defrost. When I’m driving my Scion xB, I usually have a melted section of my windshield within about 2 minutes. I sat in the car for a few minutes, and enjoyed the seats as they heated up, but the windshield looked exactly the same. I tried playing around with the buttons for the heater, both fresh air and recycled air, and it still took 10 minutes to have the windshield about 90% cleared off. 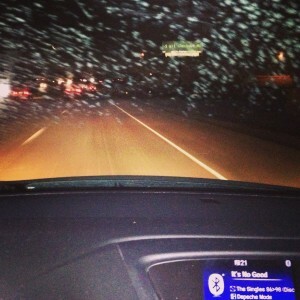 In my book that’s not cool, because I really am a stickler about having a clean windshield. 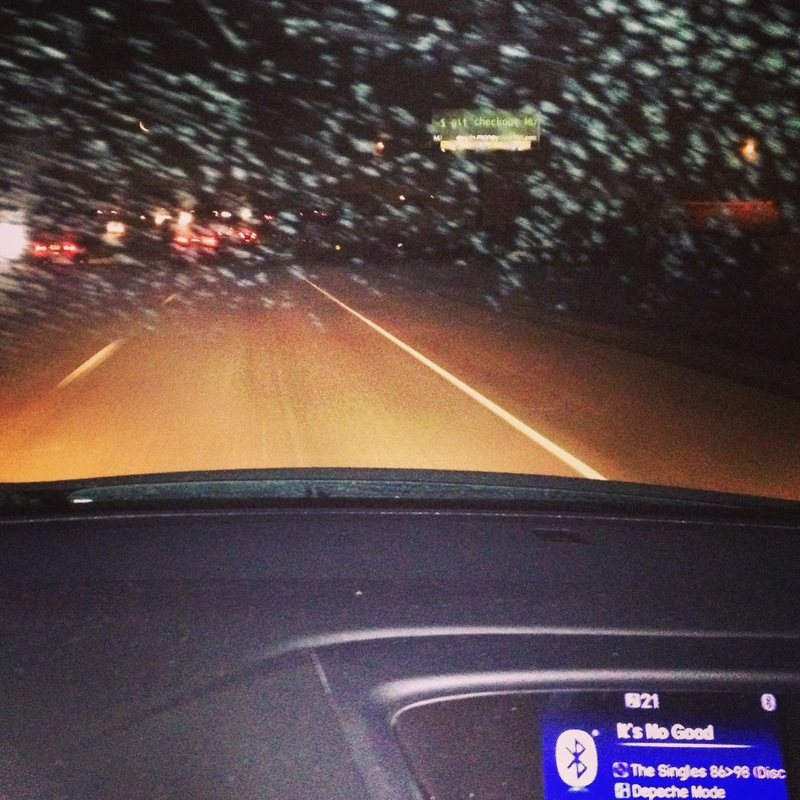 Sidenote: I think it’s funny that picture shows Depeche Mode’s “It’s No Good” playing when I snapped the picture. Frosty windshields are no good! So far I’ve driven about 200 miles, and I’ve got about a quarter tank left. Even with having the Econ button pressed for most of the time I’ve driven it, the fuel efficiency hasn’t been as good as I’d expected. I watch the dials on the dashboard to see if I’m driving at the most efficient speed, but I still don’t think I’m getting as high gas mileage as I should. But…it is a new car, and I’ve heard that engines need some time to be broken in to get the most efficient gas mileage. So…all in all…I’m having a great experience. It’s been fun to get to know the folks at Honda of Orem, and also to spend some time in a really classy vehicle. 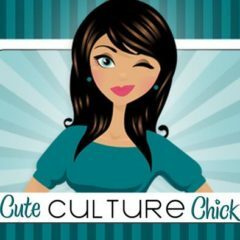 I’ve had fun showing it off at social media events and to extended family members and coworkers. I’m a little sad my #HondaTestDrive is already halfway over.